The K-01 boasts the world's slimmest lens. 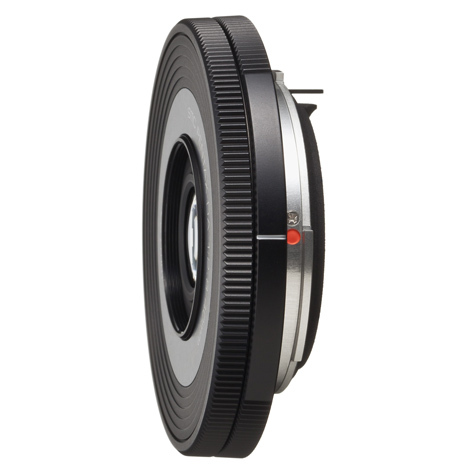 The new Pentax K-01 features the Marc Newson signature at the base. 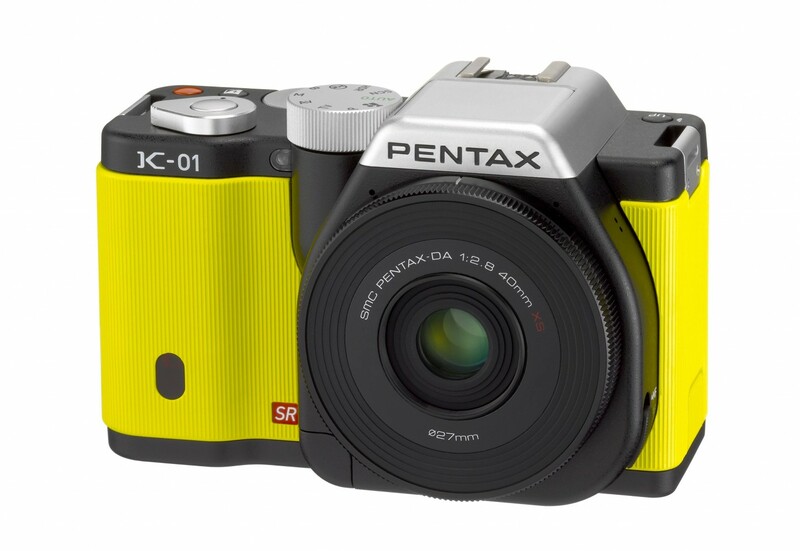 The Marc Newson-designed Pentax K-01 digital hybrid camera is available in white, black and this bright yellow. 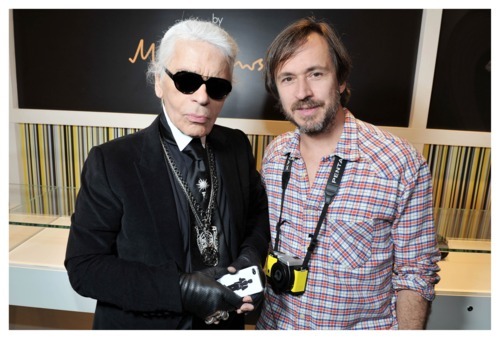 Karl Lagerfeld and Marc Newson at the Pentax K-01 party at Colette Paris last week. We love any excuse to celebrate. 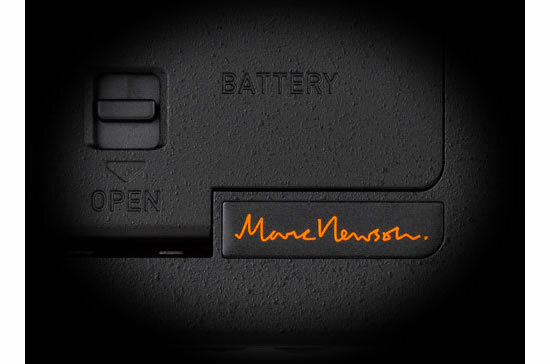 Being selected as the first design retailer outside of Paris to debut the innovative Pentax K-01 hybrid digital camera by industrial design star Marc Newson is reason enough to toot our party horns. Boasting the world’s slimmest interchangeable lens, the pop-colored K-01 marks the very first time the 93-year-old Japanese camera company has collaborated with the design world, both by partnering with Marc and its roll out in retailers outside of camera stores. The festivities got underway in Paris during fashion week there last week at Colette. Now it’s stateside and to our shop in Venice and online (where you can also find all the geek speak on this cool cam). Andy and I have also worked with the team on the U.S. launch to give our peeps—that be YOU folks—an opportunity to test shoot the K-01, too. Mark your calendar for the Shoot+See event March 17, from noon to 6 p.m. We’ll have a dozen K-01’s that customers can test for themselves—just check them out like a book, and hit Abbot Kinney to shoot to thrill. We’ll have a monitor set up so you can review your work. A+R will also be among the very first retailers anywhere with stock of the cameras, and a representative from Pentax-Ricoh will also be on-hand to discuss its special features. The Shoot+See Event is March 17, from noon to 6 p.m. at A+R, 1121 Abbot Kinney, Venice, CA. Parking available on street or validated valet, enter at San Juan Street. Valid driver’s license and credit card must be provided to check out a K-01 for the designated time.